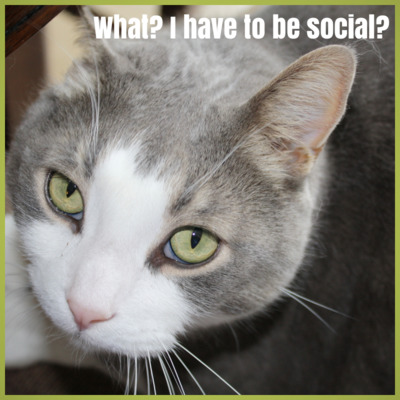 Social media means being social? As business owners, you probably know there is a ton of value that can be gained by going to networking events. Going to your local chamber of commerce meetings, joining a small, but consistent weekly networking group, or going to conferences lets you meet all kinds of new people and learn new things. Social media is meant to be social (shocking, I know!) and to REALLY get the most value out of it you need to have conversations, you need to share information, and you need to get beyond your own channels. You need to do what you do at in-person networking events, online. Join some groups that have your target audience in them. There are groups of every type and size on Facebook, LinkedIn, and Google+. Where is your audience spending their time? Are they in groups talking about local issues; are they in groups talking about certain industries? Join some groups and be a helpful resource, be friendly, and then share interesting information from people in the groups with your audience. People love comments. I love comments (feel free to leave one here to make my day:-) ), and I bet you probably like getting comments too. Leaving comments on blog posts and social media updates from businesses run by your target audience or that your audience would follow, or by your target audience on their personal channels or responding to something someone said on Twitter is a great way to build relationships. The more you talk to someone, respond to things they say, and are friendly, the more they’ll pay attention to you and what you’re saying and want to share your message with their audience. People pay attention to those that are helping them spread their message. When you share content created by someone else you are doing two things at once. 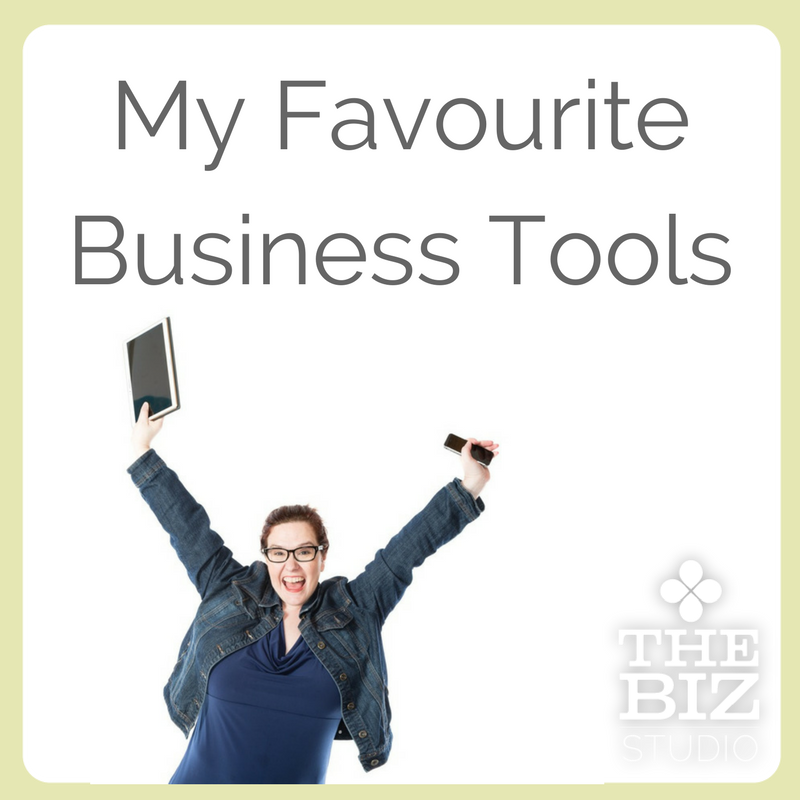 You’re sharing valuable content with your audience that you didn’t have to create (yay!) and you’re creating opportunity to be noticed by the person whose content you’re sharing (unless the content is from a really big site, then it may not be AS noticed). Share articles and posts (making sure to tag the original author) on all the different channels and see if the person who’s content you’re sharing doesn’t start noticing you more. If you’re wondering how to keep it all straight in your head, check out our newest free resource: our Daily Social Media Checklist. It will help keep you on track with what you should be doing on your own channels, as well as breaking out and spending time outside your own Facebook page and blog. 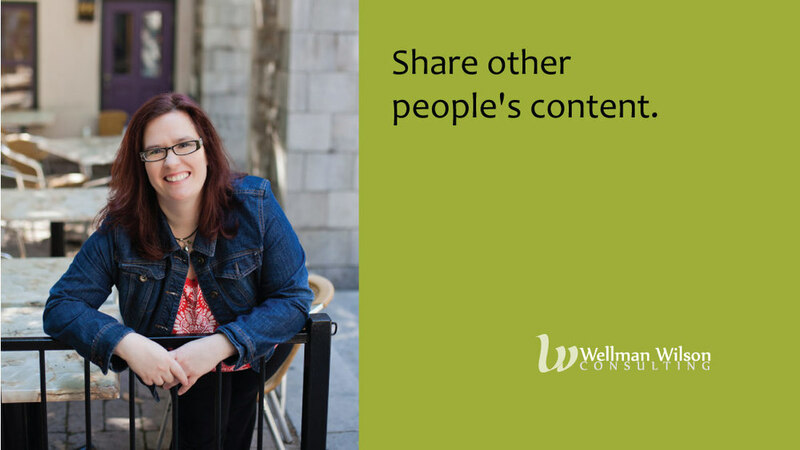 Are you sharing other people's content? 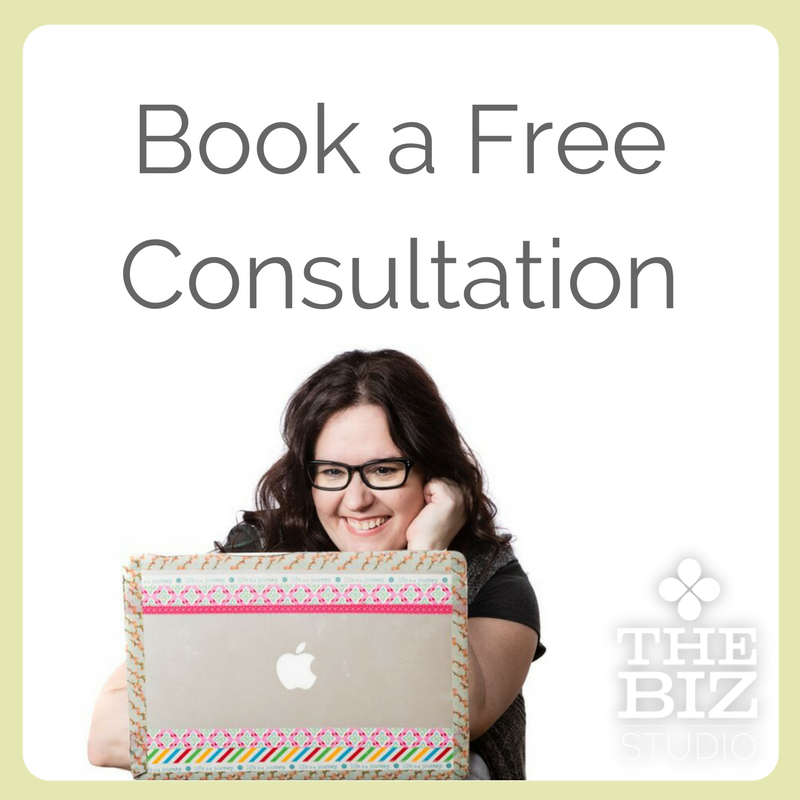 Do you worry about how you can possibly come up with enough content to keep active on your social channels on a daily basis? Here is a quick and easy solution: don’t try to do it all yourself. It is great to share other people’s content, not only because it means that you are providing your audience with great content without you having to come up with it, but also because sharing can build great relationships with the people whose information you’re sharing. So next time you’re reading some great blog posts, watching a great video or think a status update is particularly insightful that would appeal to your audience - share it! Leave a comment below and let us know what some of your favourite sources for great content are. And go and subscribe to our YouTube channel! 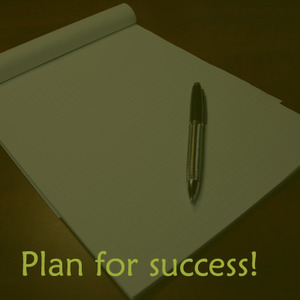 Strategic Social: It starts with a plan! Using social media to promote your business isn’t as simple as setting up a blog, a Facebook Page or a twitter account. Creating the right kind of content that is designed to achieve your specific business goals takes some forethought. A social media plan gives you the opportunity to think through what you want to say and the direction to create content in bulk, eliminating the daily scramble for new content. Write down exactly what it is that you do and why. Have you ever written it down concisely? If so, great, just use that! If not, take the time to write it down. Your goals for using social media can vary a lot. Pick 3-4 to focus on for the next 6 months. They can be about increasing sales, but they can also be things like “increase our web presence” “build relationships with key online influencers”. This is the real meat of the plan. How are you going to target your audiences with your key messages to achieve your goals? Give yourself set tasks per week and then fill in an editorial calendar with them. Write two blog posts a week. Acquire two guest posts a month. Post three times a day on twitter. Every Wednesday share a useful tip on ______ on Facebook and twitter. Every other Friday are guest posts on the blog. Every Saturday share a post from the archives of your site. Aside from your editorial calendar what else could you plan to do to attract your audience? Write guest posts for other blogs. Build your newsletter list and commit to sending a monthly newsletter. The sky is the limit for tactics. Just remember to be realistic and to think about what your audience wants and would find of value. Based on your tactics and goals, what measurements should you be tracking over the next six months? What is a reasonable result to indicate success? Increase engagement on your Facebook page by 25% 50% 100% per month (pick something reasonable based on your current engagement levels). Increase visits to your site by 20% over 6 months. Increase sales by 20% over 6 months. Have 6 guest posts published over 6 months. Now take all the above information and put it down on paper. You’re more likely to commit to it and do it if it’s a proper and formal document. Then do the work. It doesn’t always pay off immediately, but growing your online presence slowly and authentically is the best way to do it. Ask someone to be an accountability partner if you think that will help. Knowing how to get where you want to go is always easier with a map. Your plan is that roadmap to the destination you’re trying to get to (your goals) - make sure you have one. Leave a comment below giving us an example of one of your key messages, goals, or tactics. Every week I compile a list of the noteworthy social media news (Buzz), balanced with valuable commentary (Brilliance) and some good advice about Blogging as well. The links that follow are to sites and blogs that I read on a regular basis - consider them recommended reading for you too. Or you can just come back here each week for biggest news and best advice. Here’s a look back at the first year with Google+. It’s not exactly news, but it’s interesting to look at it’s evolution. It’s also interesting to see that some enthusiastic early adopters aren’t quite as enamored anymore. I feel like saying, “I told you so” to the “not a Facebook killer” part. LinkedIn and Twitter have broken up and I could not be happier! The fact is that Twitter broke things off, but you know what? LinkedIn should be doing the happy dance. These days when I log in (except for one enterprising contact who has hacked their way into keeping tweets in their feed), I found LinkedIn pleasant enough that I want to go back in soon - probably even tomorrow! There’s the same amount of signal, but it’s not being overpowered by the noise. Twitter’s recent changes to the API (short form for application programming interface) access have lead some to be very concerned about the possibility of third-party apps being cut off. No one should take this lightly. Personally, I rarely use twitter.com and I don’t like the mobile apps that Twitter has built (they aren’t even installed on my devices anymore). Should third-party apps be cut off, I will probably limit my use of twitter pretty drastically. The latest speculation involves a leaked photo of what may be the next iteration of the Twitter for iPhone app and what it may mean based on recent events. If Twitter starts limiting third party apps, eventually the service may get some real competition. We don’t want the ability to microblog to go away. Otherwise, how else would anyone retweet boneheaded things people tweet? What’s amazing is how many of the pictures are still up after this account retweeted them. Finally, Twitter promised this week to REVOLUTIONIZE SEARCH! What they did was add search features that exist in a lot of other places already. While they’ve done some good things with this latest update, revolutionary isn’t a word I’d use to describe it. I wouldn’t yawn, either. I rarely use twitter.com, so I’m basically just indifferent about it. Facebook has been busy dealing with the email fiasco and coming up with an explanation. If you’re one of the ones who syncs your phone contacts with Facebook, here’s how to fix the email address problem. I read somewhere that email is your biggest social network and that resonated with me. Just think about how many contacts you’re emailing all the time! That calls for some solid strategy for email use as a sales tool. We’re inundated with information all the time now, regardless of where we are, thanks to smartphones. This influx of data has given many reason to believe that it’s ruining productivity. But, what if that isn’t always true? Here’s another side to think about. There is a case to be made for using tools at our disposal more efficiently as well. Being more aware of productivity killers is essential as well. Seeing a brand use social media successfully is exciting. Seeing a Canadian brand highlighted that has numerous fans and detractors is even more interesting. Check out this post about what Rogers is doing to transform relations with its critics. This is a long article, but well worth the read if you have any struggles at all with establishing (or maintaining) your social media marketing process. After you’ve been blogging for a while, you may start to feel burnt out. Taking a break may be your first instinct, but you might want to try one of these other ideas first. What are your blogging tenets? Have you ever thought about it? These three - patience, strength and belief - are definitely essential. 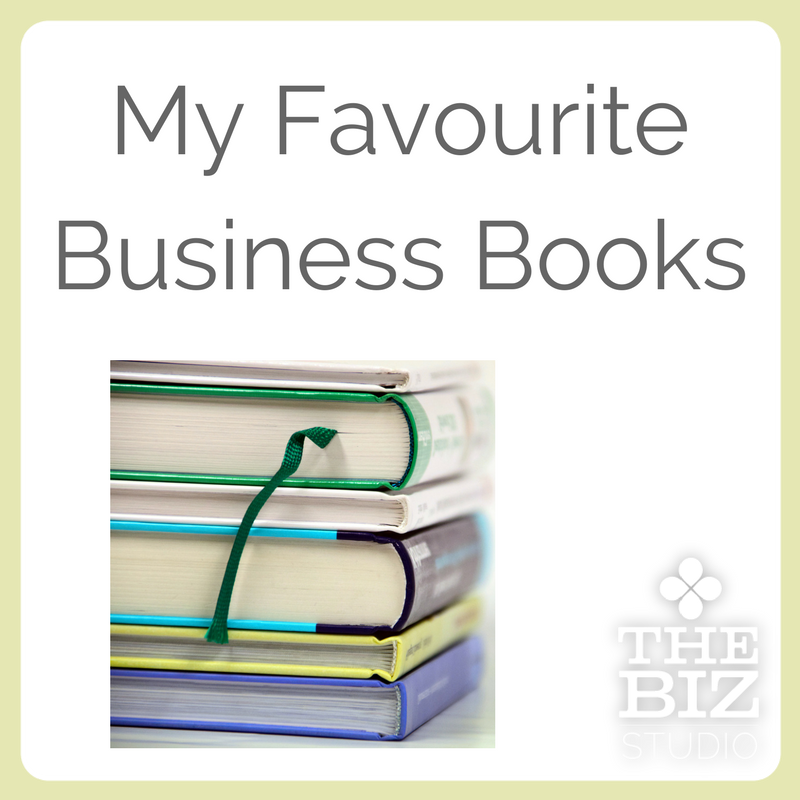 In particular, when it comes to business blogs, do your writer(s) truly believe in what they’re saying? Lack of belief in something will be noticed by the audience. There is one risk to blogging valuable content that bloggers will likely never win the war against, but it’s good to be aware of and do what you can to fight back. The scariest part of this is that the content is being used to support “expertise” in social media. Vet the people you’re working with very carefully. They may not be what they seem. What are the secrets to success in blogging? Here’s one attempt to pinpoint some triggers. I think success cannot be defined by any particular formula, but there is some good advice in here. App of the Week: I’m just getting into Springpad over the last week, but I’ve been wanting to check it out for quite a while. With Web, iOS and Android apps, this is a powerful tool with a beautiful interface that I’m quickly growing to rely on for notes and tasks. Or at least I’m working on developing the habit. :) If you’re an Evernote user already, you might be interested in reading this overview of how Springpad differs (it has more). If I have time this week, I’m going to check out Ping and report back next week.